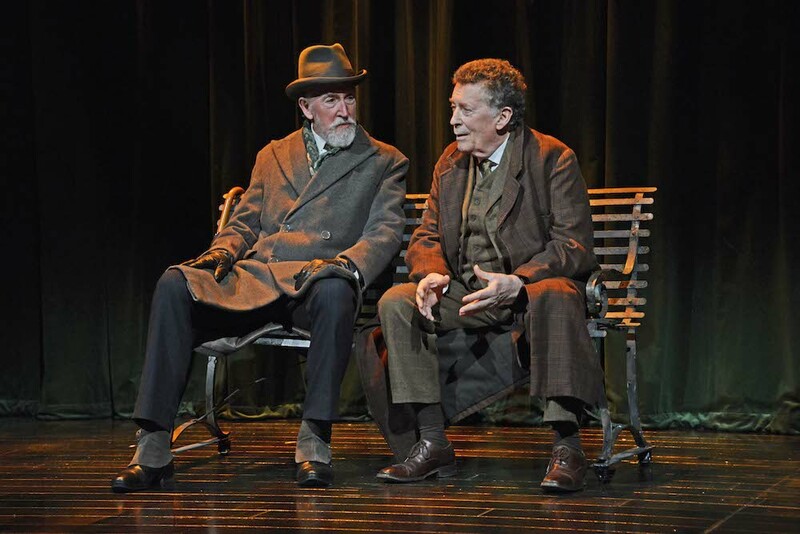 Review: Sherlock Holmes; The Final Curtain. Curve. (touring) – East Midlands Theatre. The enduring appeal of Sherlock Holmes is testament to the complexity and skill with which the character was first imagined by Sir Arthur Conan Doyle. Following on from many ‘modern’ interpretations, in both film and television, this new play by Simon Reade takes a rather different tack in presenting an alternative view of our anti-hero, on stage. The play is set in the 1920s, and opens with Sherlock having ostensibly retired to the Sussex Coast, living anonymously amongst the locals. Of course, little is ever as it seems with Holmes, and soon there is a dead body and the appearance of an old acquaintance to disrupt this quiet idyll. Watson is seen presenting stories of his adventures with Holmes on the ‘wireless’, as BBC Radio has just launched, and so the stage is set for the mystery to unfold. The plot is fairly simple, and centres on the relationship between Holmes, Dr Watson and his wife, Mary, and the alleged re-appearance of the Watsons’ dead son. Holmes’ brother Mycroft makes a brief, and quite comedic, appearance and Mrs Hudson, the trusty housekeeper, is replaced by ‘Miss Hudson’, who happens to be her daughter. Perhaps stretching credulity a little. 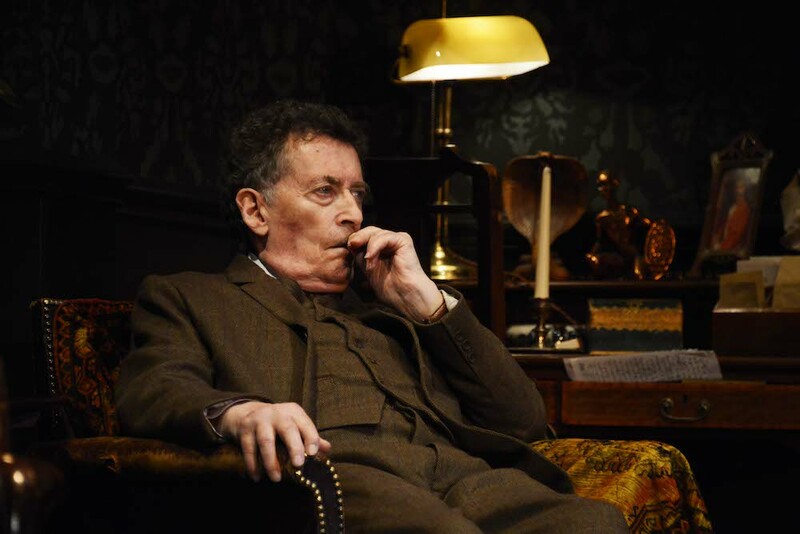 Robert Powell takes on the role of Sherlock Holmes with appropriate intelligence and deftness. Although at first appearance, retirement seems to have made him melancholy, he soon comes to life when challenged with a puzzle to solve. Powell is self-assured from the start, with a confident performance that shows a depth and breadth of character, inquisitive, calculating, analytical, but not without warmth. Dr Watson is played by Timothy Kightley with a delightful bluster and earnestness, and is the source of much of the light relief in the play. The role of Mary Watson is central to the plot, and without giving any spoilers, required a little more in the way of subtlety in its presentation. Liza Goddard provides us with a feisty, suffragette supporting Mrs Watson with a few skeletons in her closet. The most effective scenes are those in 221b Baker Street, the famous literary address of the infamous sleuth. The set is wonderfully atmospheric, with flock wallpaper, rich furnishings and candlelight all creating a Victorian parlour which has not quite caught up with the 20th Century. The characters seem to come to life here too, the conversations and accusations creating emotion and reaction. The details of the costumes and props are all beautifully imagined, and provide a rich backdrop to the action. By comparison, some of the other scenes suffer a little from a lack of attention. The final scenes, where inevitably, the plot and the motivations are revealed, has a few slightly clunky moments but overall, this production feels like putting on a comfortable pair of slippers and a smoking jacket, settling down in a favourite chair and reading about one’s favourite character. It is charming and entertaining, and a pleasant escape to simpler times. The production runs until Saturday 7th July at the Curve, Leicester.